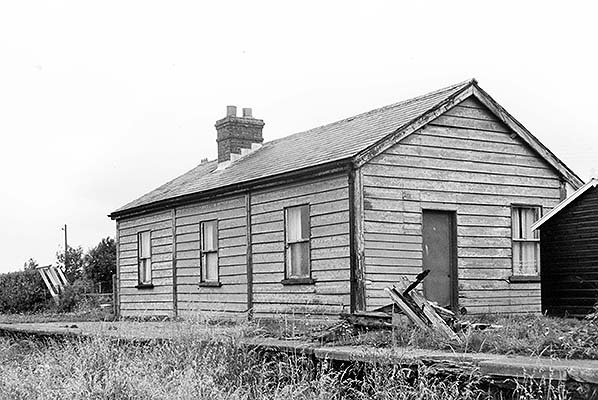 The 'station bungalow' as it was then known standing at the back of the up platform in July 1974. 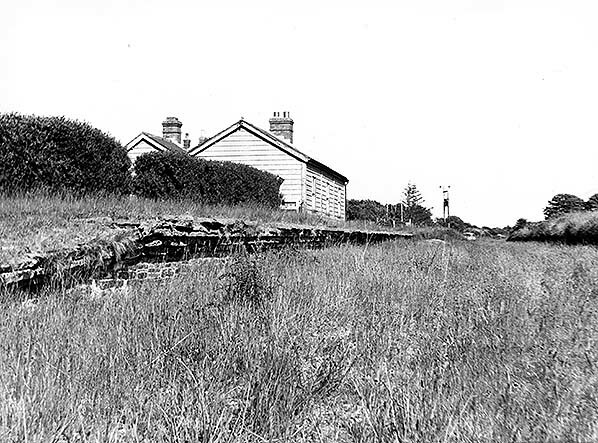 Letterston station looking south-east along the trackbed in 1976. Letterston station looking north-west in July 1990. In the summer the platform is now completely covered by undergrowth. Coronation Terrace is seen in the background. 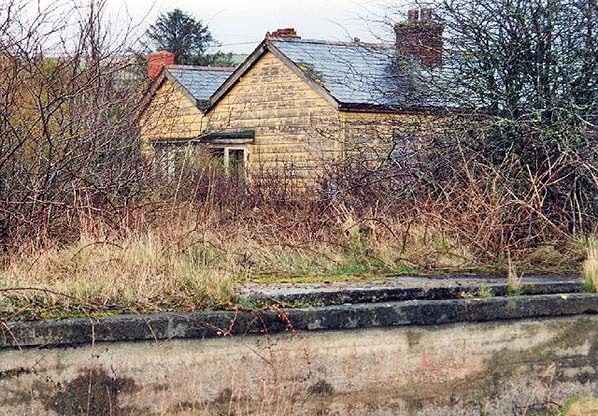 Letterston station bungalow and up platform in February 2002. 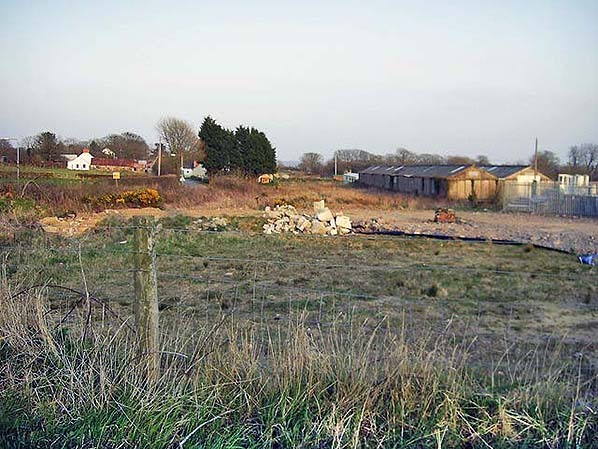 The site of Letterston station and goods yard looking south-east from Station Road in 2010. 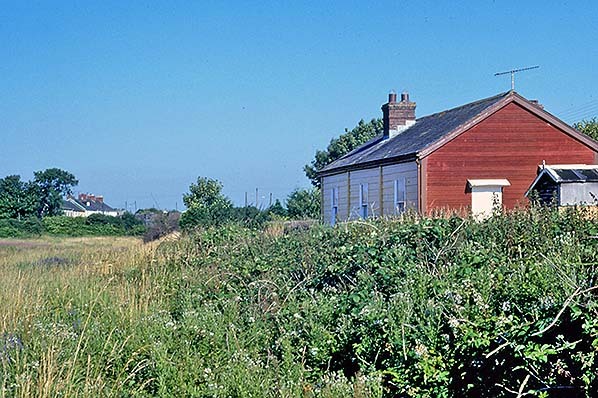 The station bungalow was demolished in 2007 and a new house stands on the site. 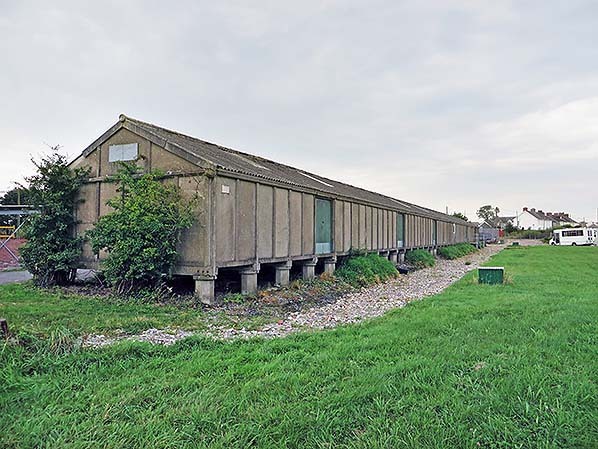 The long concrete huts in the goods yard survive in industrial use. The site of Letterston station looking north-west in September 2016. 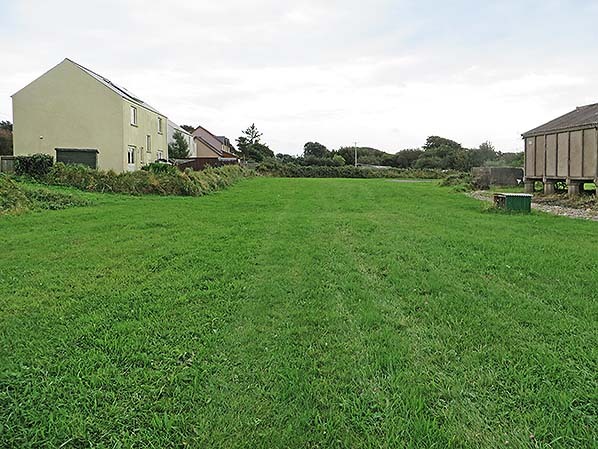 The trackbed has now been infilled and the site levelled. Three new houses have replaced the station bungalow. 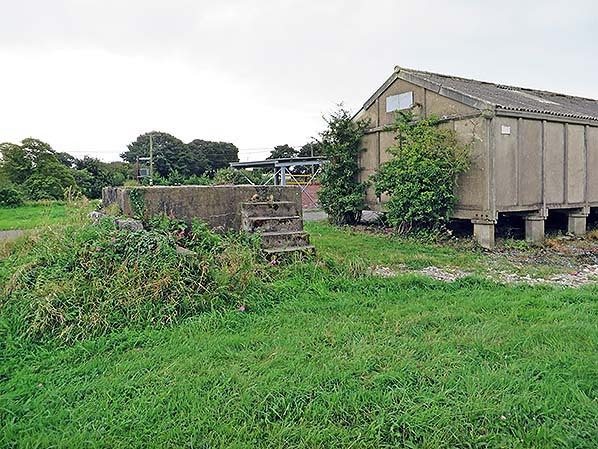 On the left the WW2 concrete huts are now let out as industrial units. The site of Letterston station looking south-east in September 2016. 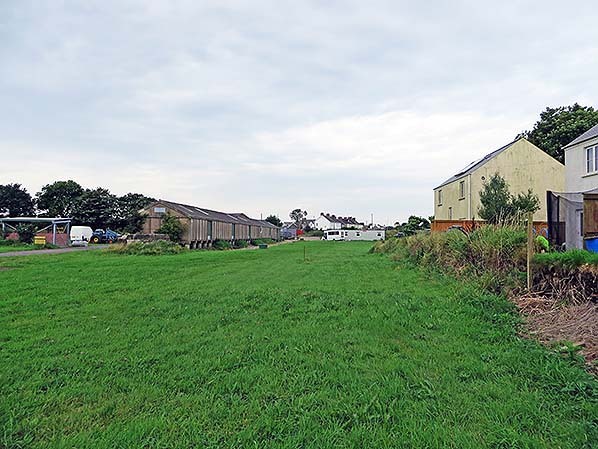 The station buildings were in front of the new houses on the left. 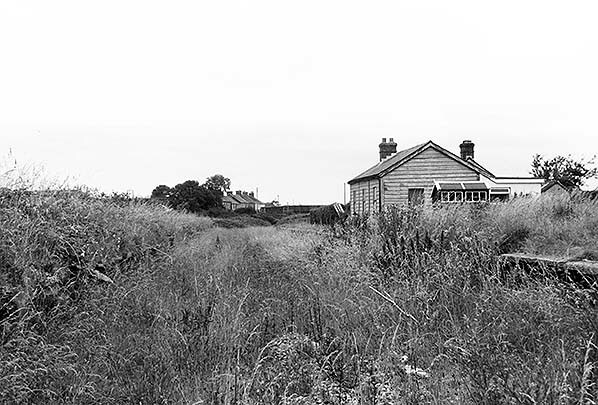 One of the surviving huts in the Letterston goods yard in September 2016. These buildings were for the storage of grain and other perishable goods and were built on staddle stones to make them inaccessible to rodents. The base of the goods yard hand operated crane survives. The Railway Clearing House lists the capacity of the crane at Letterston as 1-ton 10-cwt in its 1904 and 1956 handbooks.